Skills and Abilities: He possesses a black belt in karate and advanced computational skills for hacking. Powers: Jesse is a mutant whose body generates electromagnetic pulse energy. By generating EMP he can sense and perceive things like brainwaves and electrical energy which he can manipulate for varying effects. The easiest way to use his power is to disrupt electronic and mechanical devices this power is so efficient it even knocked out Iron Man’s armor at one time. Since his body is constantly generating this energy he can also see into the electromagnetic field and as such sense and track individuals according to their own unique EM field. On humans he can use his powers to affect the neural chemical responses of a living brain to induce states such as pain, sleep, or confusion. He was so skilled in its use that he can shut down parts of a human brain, stabilize brain waves or completely erase ones memory. Jesse was the second child and son born to Nina and Kyle Aaronson after Brother Christopher. At age five he became an orphan after his parents died in a mysterious accident. Placed in foster care he rebelled and was eventually sent to a mental institution. Here his powers manifested and his life changed. He was taken in by members of the Mutant Underground support engine (MUSE). They trained him in the use of his powers, martial arts, hacking and agent protocols. He remained here using their resources to try and locate his brother Christopher. Unable to do so he left MUSE at age nineteen to find Domino of X-force hoping she would be able to assist him. Upon finding her they struck a deal but Domino got captured so he recruited X-force to rescue her. After this he unofficially joined the team and accompanied them on a few adventures while Domino tracked down his brother. They eventually located him but the reunion was not a happy one. His brother now called King Bedlam was now leading a team called the hellions with whom he planned to conquer the world. Jesse briefly sided with them as they battled X-force but turned against Chris when he realized his brother cared nothing for him and was responsible for their parent’s death. They parted on bad terms and he remained with X-force. 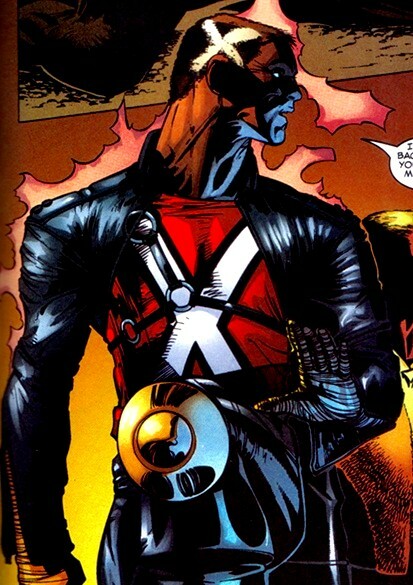 When the team was taken under the wing of Pete Wisdom he learned to use his powers in an expanded and more creative way until the team disbanded and he came to the Xavier Institute. Here he was crucified by mutant haters and resuscitated by Angel’s healing blood. After M-day he retained his powers and later joined a mutant riot in San Francisco. Defeated by the Dark X-men he hasn’t been seen since.